Cut Masters is a small full service remodeling contractor for residential homes. We can complete projects from small handy-man type projects to larger scale home improvements. Our jobs are finished to our high quality standards. We listen to our customers regarding their project and budget. We are friendly, easy to work with and want to give our customers a great experience. We strive for 100% client satisfaction. Legacy Builders is a company moving forward in building new homes, remodeling, and property management. Legacy Builders LLC is a full service residential home design and construction company that brings together an experienced team of building professionals. With decades of combined knowledge in highly specialized aspects of residential construction, Legacy provides our customers with creative solutions for today’s Building and Remodeling needs. Our team includes a general contractor with over 30 years of experience, a 3rd generation custom home builder/developer, a home builder with 26+ years in electrical contracting, and an award-winning interior decorator whose work has been featured on television and in nationally syndicated magazines. Legacy Builders pursues a vision of working together in a spirit of cooperative harmony to provide long lasting relationships with our valued customers to create spaces that will last long into the future. 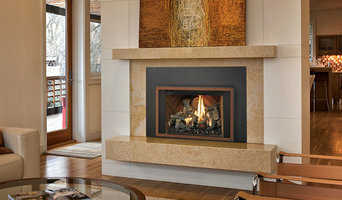 Embracing each customer’s style whether it be modern, contemporary or traditional along with careful attention to small details has earned Legacy Builders a reputation for excellence from past clients and real estate professionals. We offer a one year warranty on both materials and labor. 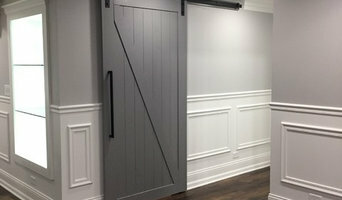 Since 1988, Canada & Klein, Ltd. has been serving the Greater Chicago area by providing the highest level of craftsmanship and attention to detail. Whether it's a remodeling project, addition or custom home construction for which you already have architectural plans, or a design/build project for which we can provide both the architectural and construction services, Canada & Klein has a proven track record of successful projects. Owned by Jeffrey Cohen and his wife, Rebecca Cohen, the firm has a strong commitment to preserving the natural environment, conserving natural resources and protecting the health of its clients. Depending upon a client's needs and interests, Canada & Klein can offer a variety of products or equipment that promote energy efficiency, use recycled materials and create a healthy indoor environment. 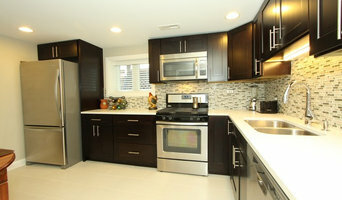 General Contractor specialize in gut rehabs, additions, kitchens & bathrooms. Exterior and interior services. Our TEAM : group of professional trades who want to bring best standards and quality to your home !!! Progress Builders Inc. is a construction company specializing in new custom homes building, home renovation, kitchen and bathroom remodeling. We are committed to relentless attention to detail throughout the project. We’ll then bring to life your dream project as our team work tirelessly to help our client with every aspect of your project. We form partnership with our clients from planning to final touches of the project. Providing outstanding customer service, PBI creates lasting relationship with our clients long after completion of the project. There’s no better investment than remodeling your home. From increasing your home’s value to improving your quality of life. Above Par Construction can help realize the home of your dreams.We are fully certified experts in home improvement: kitchens, bathrooms, bedrooms, basements – Above Par Construction does them all. Exteriors too: siding, doors, patios, & roofs. We offer clear estimates with no high-pressure sales tactics. The quality of our work speaks for itself.